Looking for modern firsts books? Biblio.co.nz hosts hundreds of of the finest online book stores and booksellers, including specialists in modern firsts. Use the list below to locate a specific specialist bookseller or book store near you. Or, use the form below to search the inventory of all booksellers who specialize in modern firsts. Durdles Books is an online bookshop that specialises in Science Fiction, Fantasy, Modern Firsts and Genre Fiction. We also have books in many other categories and think our stock is both varied and interesting. We are constantly busy sourcing new stock in great condition, as collectors ourselves we appreciate that there is nothing like finding a lovely copy of a book that is on "the list". We are members of the Independent Online Booksellers Association (IOBA), so you can be assured of our commitment to good bookselling practices and customer service. Edward Hyde's Library is an online dealer started one night by a bibliophile who upgrades and improves his own collection and wants to move previous copies or books that do not fit his collection on so that Edward can buy MORE BOOKS to keep himself happy! !I am Edward and I love books and if you think there is a good reason why you should pay less that my listed price for one of my books then tell me but it had better be a good story to read if you want to negotiate.Modern Firsts are my pleasure and the Flashman novels are what caused this addiction (I met GMF on several occasions including a couple of his talks).For me there is no substitute for the weight of a book in my hand and the feeling of turning a proper paper page. In business since 1997, we specialize in americana, incunabula, science, literature, modern firsts, Bibles, religion and Mexican history. We also produce and sell wonderful Mexican document facsimiles.We buy antique books and documents. I am a former bookseller looking to reduce my personal collection. All of my books are deliberately priced below market value for quick sale to individuals or the trade. 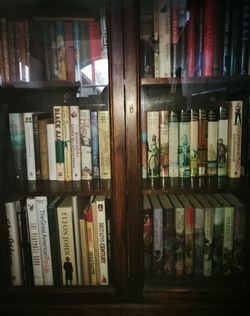 The Peculiar Old Cat and Fiddle Bookshop has a passion for fine and rare books covering all things art, all things music, 19th Century literature and culture, fine illustrations and modern firsts. The Cat digs artistic and counter-cultural movements, and also of course the unusual and the curious (hence the "Peculiar" in the name). The Cat's yen for the 19th century (including art, fashion, affairs, exploration) is possibly influenced by living in a 19th century brownstone, a future gallery for the store.Selling online since 2003 with great customer feedback - if the customer is happy, we are happy.